Podcast: UVA Sports Today wraps Virginia vs. Virginia Tech, end of line for Mike London? 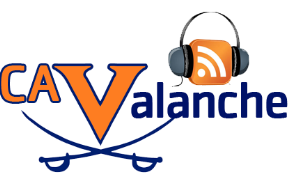 Front Page » Sports » Podcast: UVA Sports Today wraps Virginia vs. Virginia Tech, end of line for Mike London? The UVA Sports Today crew – Augusta Free Press editor Chris Graham and UVA beat writer Scott German – wrap the Virginia Tech 23-20 win at Virginia, and report from the locker room after the press conferences of Virginia Tech Frank Beamer and UVA coach Mike London. Topics include the second quarter fake punt that turned momentum heading into halftime, how the Hokies just seemed to want it more in the fourth quarter, and reading the tea leaves on London’s future, and if it extends past this weekend.